Your retro favourites on the go. Last year we reviewed the Zx Spectrum Vega, a hand-held console you plug into your TV that is packed with 1000 classic Sinclair ZX Spectrum games. 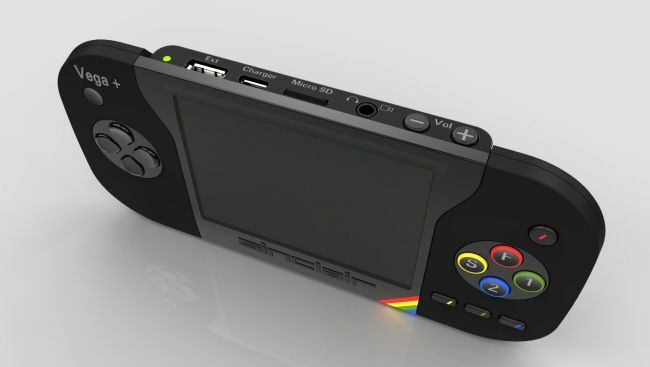 Well it seems that Retro Computers, makers of the Vega, have hit crowd-funding website Indiegogo once more to create the Vega +, a PS Vita-style Spectrum, also with 1000 games pre-installed. 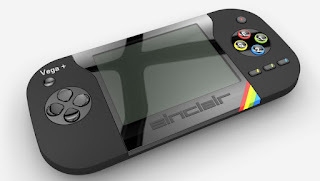 Unlike the Vega, which required you to plug it in - via VGA - to your TV, the Vega + has it's own screen, reminding us of the 90s classic hand-held Sega Game Gear, albeit much thinner. From the images already posted to the campaign on Indiegogo it seems that the Vega + will feature a full-sized USB port, a Micro USB charging port, a headphone jack, and a Micro SD slot, for adding more games we assume. Indiegogo buy-in prices range from £5 thank yous, all the way up to a £1050 donation to secure the original prototype. But, if you're just after one of the Vega +s, available in black, red, white, and blue, it will be £100.